The struggle with style for mothers is real! Finding a happy balance of great looking style and fashion that suits the life of a mom can be a challenge. Something I myself have years of experience with facing this challenge. The struggle with style for mothers is real! 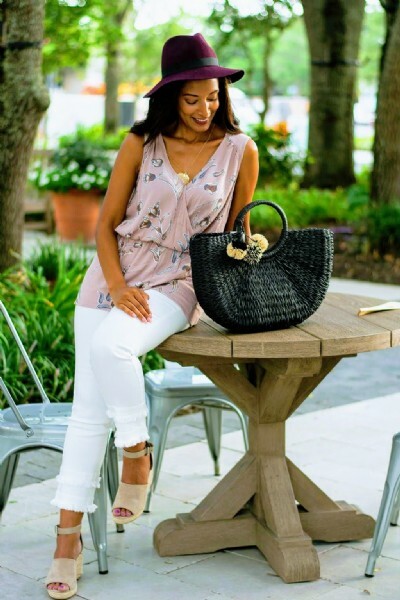 Finding a happy balance of great looking style and fashion that suits the life of a mom can be a challenge. Something I myself have years of experience with, when facing this challenge. I do know what it's like to sit on the floor for fun and games with the kids at home, chase after them in the park, family dinner outings, errands, the list goes on! But how do you keep your mom style polished and chic while life happens? Here are a three tips to help you out. Feel free to take notes or save this blog on your cel. 1 An effortless and fashion forward look begins with aquiring a few casual clothing staples. Such as a white v-neck tshirt, blue, black and white skinny jeans, denim shorts, sneakers, wedge sandals, flat sandals. With these pieces you'll be able to combine casual daytime outfits that are easy to move in, yet will not give way to indecent exposure while running and bending to grab your kids. 2 Jazz up mom dressing with accessories like trendy earrings, a statement satchel, a crossbody bag and backpack purse. I personally love them all and normally choose them according to location and activity. Accessories may be used as accents as well as to display your mood or character on that given day. If you do need a carry all, take a clean structured tote along. 3 A fun, easy to fix hairstyle saves time, but also creates a hip mom style. Have your nails done with a favorite hue plus a little makeup will tie your overall look together and give you a confidence boost to get through the day, because sometimes we need it. 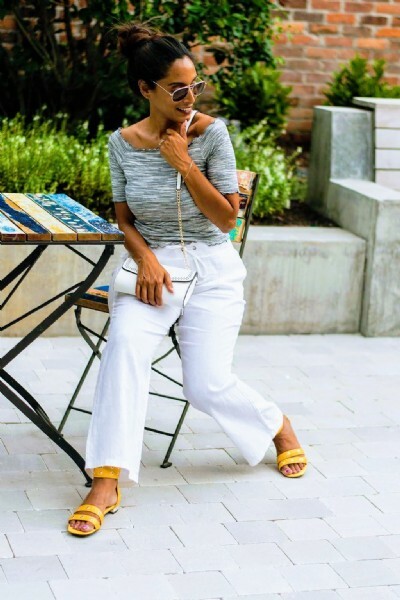 I came up with a few daytime and evening outfit ideas after trying on some very mom friendly summer clothing by Diane Gilman, HSN. I also found items at Dots, Marshall's and Loft. Each of the looks are budget friendly so be sure to tap on the image to shop them.